The PCBs are not finished, I still have to try the signature chip and the flash chip, I also need to try the RF communication using the MySensor library, with other libraries it has worked well so I do not expect surprises at that point. I'm waiting for the MDMSGate gateway to arrive to finish the tests, and the new angled connectors to make the PCBs again. Today I received the Gateway MDMSGate and the touch switch works correctly, interacting with all the sensors of the node. This afternoon I will try the FOTA updates. I can not update the sketch by FOTA. The MYSController program connects to the node and sends the .hex, the debug node shows that it is receiving it ... but at the end it continues executing the same code as at the beginning, the new code does not apply. I have recorded the SenseBender Micro bootloader as it says on this page. I am using the W25X40CLSNIG flash chip that I have read is compatible. #define MY_OTA_FLASH_SS             pFLASH_SS   // Slave select pin for external flash. #define MS_BOARD_NAME               "Touch Switch: Two light"
* For initialisations that needs to take place before MySensors transport has been setup (eg: SPI devices). * Called once at startup, usually used to initialize sensors. * This allows controller to re-request presentation and do re-configuring node after startup. * This will be called continuously after setup. //In case of problems in the wireless connection, the LED flashes blue. //Logic for the touch button. * Get the time when the button is pressed and released. * Sets the color of the led according to the state of the relays. * Turn on the led in the indicated color. @giltesa What fuses values were setted? As i understood, you are using DualOptiboot. Although the bootloader's engraving gives error I have seen that the fuses change after recording the bootloader. Having customized the CS pin of the flash chip, the bootloader should not know the pin. 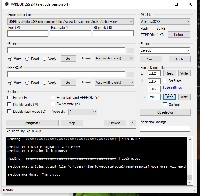 I have to compile the bootloader with the correct pin. Edit: I've already got the FOTA updates working, later I'll write more information. nice can i start making pcb now ? In this version of the PCB all the features work correctly, except the signature that I have not yet tried but should work without problems. 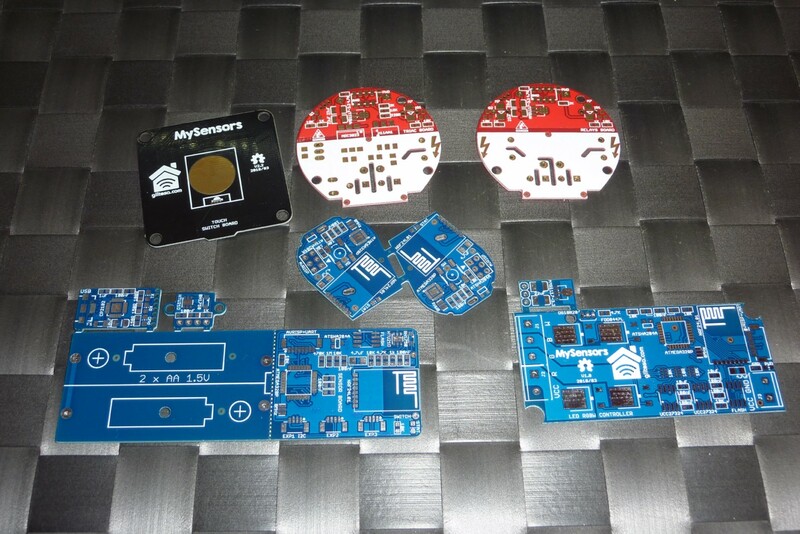 You can manufacture the PCBs, although my recommendation is that you wait (it will take several months). A problem with the current version is that once the cables are screwed to the switch, it takes a lot of effort to place the switch in the wall box because the cables rub against the box. It is possible that I also change the pinout of the microcontroller in the next version to take better advantage of the PWM pins... 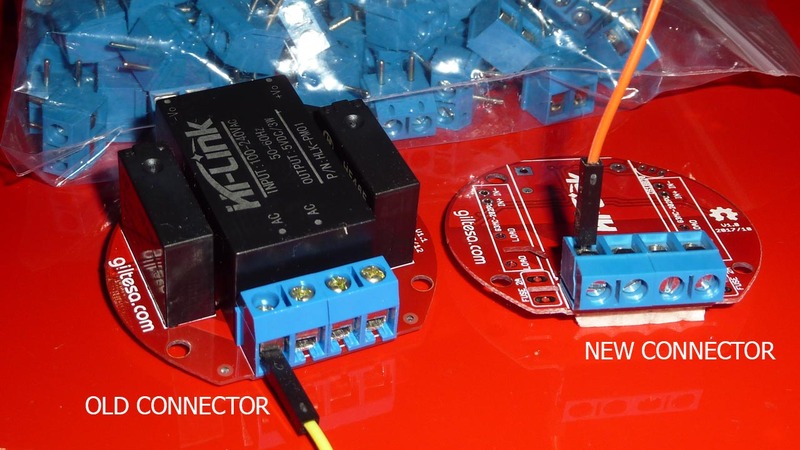 I still do not know if they are necessary to control a Triac, in case of not being necessary I will leave the flash chip in its original pin and connect the blue led to a PWM pin. I have cut with the Dremel the holes in the new position (they are deflected towards the inside of the plate 1mm) after the welded the new connector, it is perfect! The problem that the sketch if I knew how to burn the new code in the flash memory, but the bootloader could not read it was because I had changed the SS pin that is used by default ... it is obvious but at the beginning it had not occurred to me , @kalina gave me the idea and told me how to compile a new bootloader, that is why I created a very detailed guide in my blog with all the steps, here I will place a summary since I am translating it with Google Translator and if I extend Surely it does not understand, I'm sorry for it. 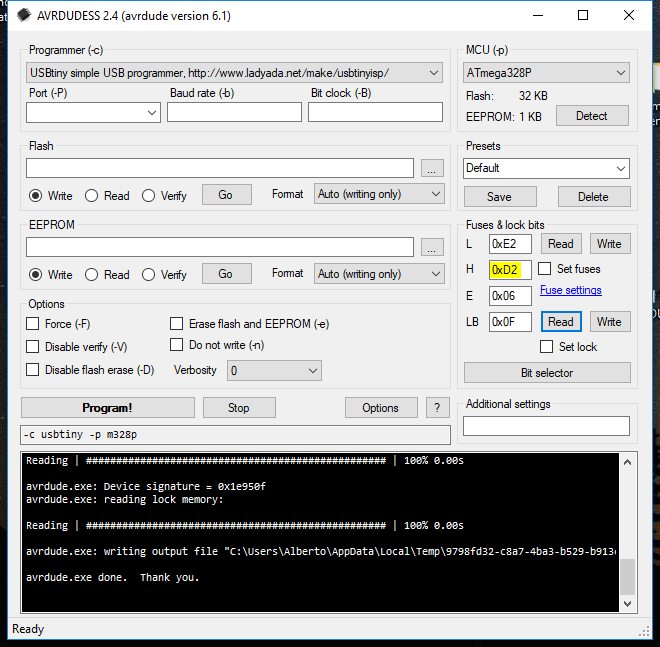 To create a new Dualoptiboot bootloader it is necessary to install Atmel Studio, we also need to download the Dualoptiboot source code, in my case use the MDMSGate project. 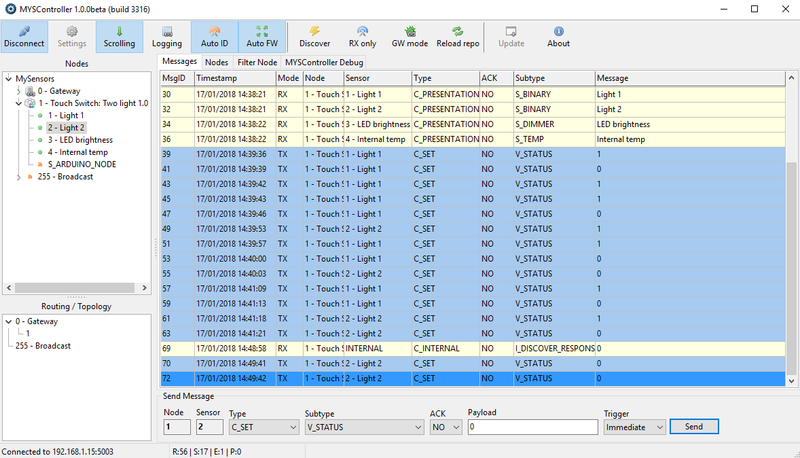 Once both were downloaded, we installed Atmel Studio and imported the MDMSGate project. First we must customize the properties of the project, with the keyboard shortcut ALT+F7 the window will open automatically. 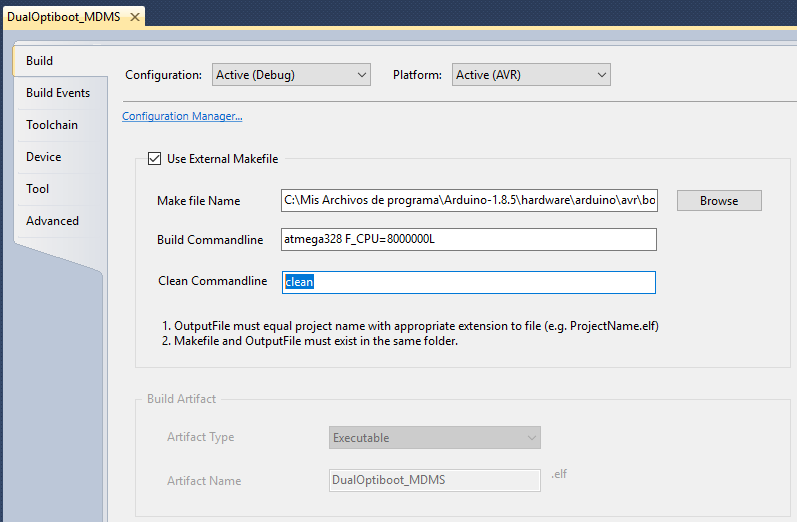 In this window we have to customize these three fields: Make file Name, Build Commandline, and Clean Commandline. In the first field we must indicate the complete path, including the name of the file, of the Makefile file that we downloaded next to the MDMSGate project. The third field we leave in "clean"
Now in the code of the optiboot.c file you have to modify the Cable Select pin where the flash chip is connected. 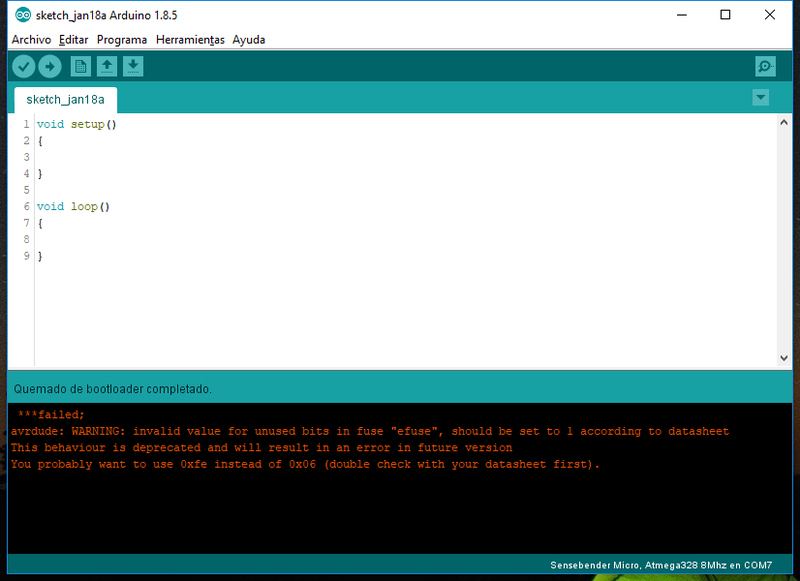 In the documentation of Arduino indicate the values of each pin, for pin A0 the codes correspond. #define FLASHSS_DDR     DDRC  // <<= Value 1: "Memory address where the pin block is located"
#define FLASHSS_PORT    PORTC // <<= Value 2: "Block of pins"
#define FLASHSS         PINC0 // <<= Value 3: "Pin 0 of the indicated pin block (For A0)"
Finally, we will only need to execute the code, with the green button in the form of a triangle / play, or with the F5 key) and in the project directory the new bootloader file will be created. Did you plan to do livolo two gang ? and roller shutter witch current detection? However, as it puts in that thread, I am having problems with the regulation of brightness, today I have arrived a new Philips bulb and it works much better than the Ikea bulb however it keeps blinking, I am going to buy some new triacs and optocouplers to see if those work better. As for your questions, I had not planned to make a switch with two tactile pushbuttons, I think it is uncomfortable to press when there is more than one pushbutton since you have to be aware of which area of ​​the crystal you press, however now you can press with the palm hand in any area to have a single button. In any case, doing that is not complicated and since I am going to share all the files, anyone can customize the plate to their liking. Does current detection have utility? Is it to know the consumption of the lamp? If it is for that I do not think it is useful to measure the consumption of the lamps independently, I had thought to make a current measurement node that was installed in the electrical panel and there measure the areas that interested me, for example the kitchen. I would like to know if you plan to do a roller shutter node (for up and down store)? current detection is to mesure the time to up or down the store. And calculate position in %. Multi purpose sensor: Doors, windows, temperature, humidity, light, and three expansion connectors. 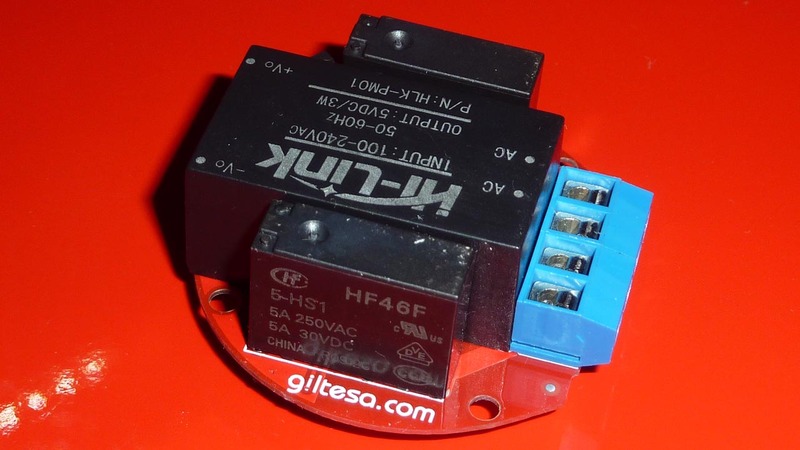 Clamp sensor SCT-013 for electrical panel. 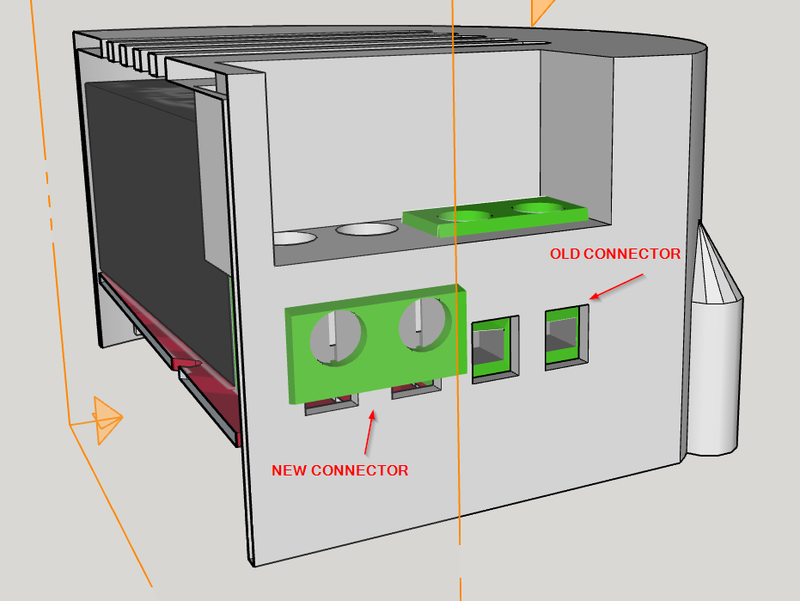 As you see my intention is to also design the node to control the blinds, I think the easiest thing would be to manufacture a PCB that is installed inside the double switch of the blind and activate the pulsations. I have not yet documented on how it works but I think that something like that should give good results, all the work would be done by the roller blind electronica, the node would only activate the button (with transistor/ssr). 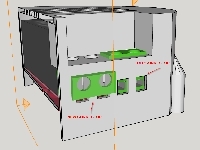 I just ordered to manufacture the next version of the PCB, actually I also sent to manufacture the other 4 modules. When the PCBs arrive and perform the necessary tests, I will publish the updated files. On the work panel and openhardware.io there are images of all the modules / nodes. Today the new PCBs have arrived, I will try to weld them this week! Yes, you can use it perfectly, both the power supply and the relays allow a voltage range of 90~264V and 0~240V AC respectively. 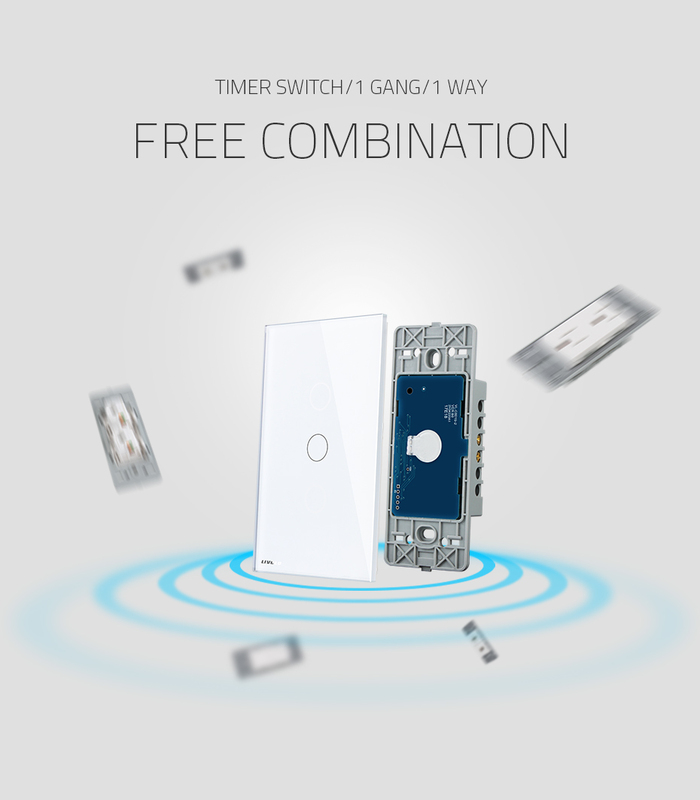 Edit: Investigate if the EU switches can be screwed into the wall box of the US switches. It is not compatible, you just have to see that the shape of the glass and the frame that holds it is completely different to the EU version, and if it was compatible Livolo would not have bothered to make several versions. @giltesa where do you buy "HTTM light reflector"? If you apply hot air it is easy to take off the white "double sided tape" and the plastic.